"It was our last evening in Bali and we could not leave without paying our respects to Pura Besakih, the oldest and holiest of all temples, nestled in the lap of Mount Agung. On the way, we stopped at a small village temple in Sanur. It was a magical sight, the skies were overcast, and roads, decorated with big banners made of banana bark, looked festive and welcoming. I noticed a few kids playing gamelan music in traditional attire. Gamelan is traditional Indonesian ensemble music, played by a group of people. The sun�s rays were reflecting off all the instruments, making the scene look magnificent. On seeing our heavy-duty cameras, they left their instruments and beckoned us to take their pictures. We were only too happy to oblige." 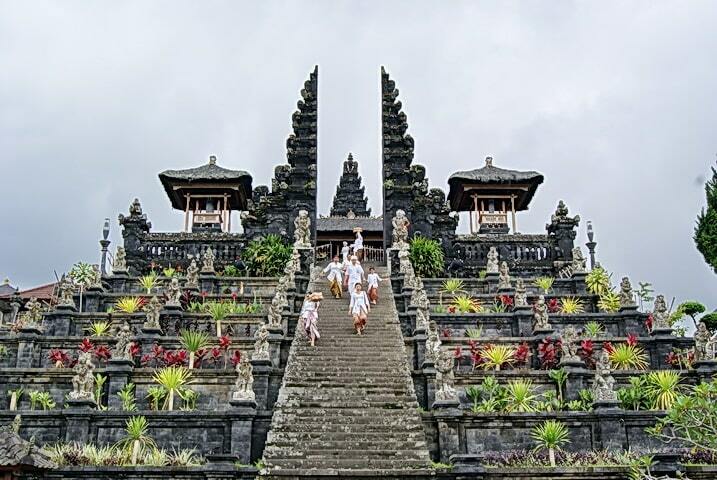 The Pura Besakih is the largest temple and the Pura is located in the center of Bali. The Pura Besakih Temple is by far the largest and most important temple of Bali and is also known as the "Mother Temple". 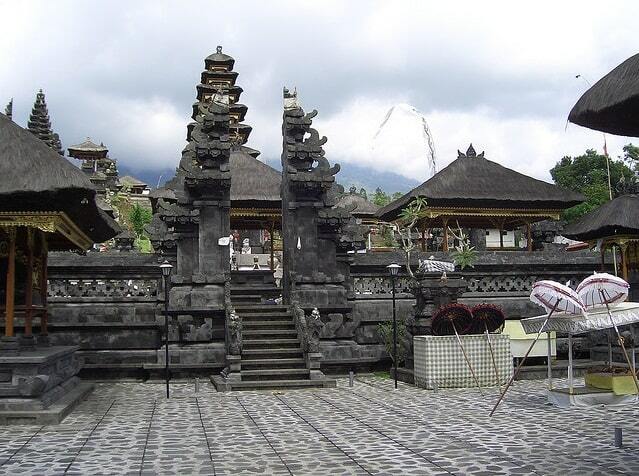 The Hindu temple is situated on the slopes of the volcano Gunung Agung. It is a sacred temple complex located on a mountain and accessible by a long staircase. It dates from the 14th to the 18th century. The temple is built mostly of dark lava stone. The temple consists of approximately 200 buildings spread over 30 blocks and a length of one kilometer. They are spread over several terraces with multiple Meru and pavilions. This complex expresses the essential belief of the Balinese known as "Tri Hita Kirana", meaning that life should be lived on earth and kept in balance and harmony between man and God, man and society and his fellow man, and man and earth its natural environment. In the fourth lunar month of the Balinese calendar (March/ April) they celebrate the main festival in the temple. From all parts of the island they come to Besakih to sacrifice. Then some parts of the complex closed to tourists. During Odalan (the anniversary of the temple) the temple is elaborately decorated. Odalan is celebrated on every 210th day. It is required to wear a sarong so that one is covered sufficiently. In addition, wearing a selendang is also appreciated. The temple complex is situated on a height of 1,000 meters. The largest and most important temple is the Pura Agung Penataran, or the "Great Temple of State" in the central part of the temple complex and it is the most important place in Bali to worship the gods. This temple is built on six terraces. Stairs on the ramp providing access to the first level of the temple. The entrance is marked by two wing-shaped pillars, a traditional split gate. Behind this gate there is a yard, through which the remaining levels of the temple can be reached. Unfortunately, only the Hindu Pura Agung Penantaran can go inside. But other temples in Besakih Purah are accessible to tourists. 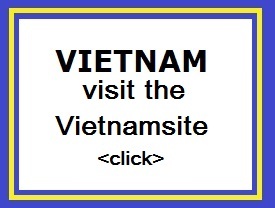 There is a clearly marked route through the temple complex, which you have to follow. In addition, only Hindu believers may use the grand staircase to the entrance. With a little luck you will find Hindus who make offerings of food and flowers in colourful clothes. There are also many Balinese, who fetch holy water regularly for the rituals in their village. This holy water is a symbol of divine presence in their rituals. 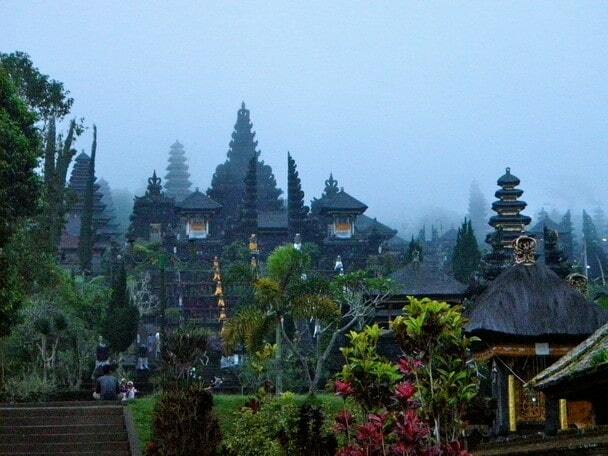 From the temple complex you'll have a great look over the South of Bali. Because the Pura Besakih is such an important temple, there are always a lot of people. There are many differences of opinion concerning the antiquity of the temple. However, the first stories about the Pura Besakih date from the 8th century. The temple complex has had to endure much through the years. During an earthquake in 1917, the temple collapsed completely and during the last volcanic eruption of Mount Agung in 1963 the Pura Besakih became also damaged. The temple has now been renovated. Note the so-called temple guards. They try to fool by saying that you can only visit the temple under their wise guidance. They try to earn money from tourists and sometimes they ask absurd amounts. However, you are always free to visit the temple on your own as long as you respect the Balinese, when they are doing their rituals. You have nowhere on Bali so much bothered by pushy guides and sellers as here at this temple, so be warned!